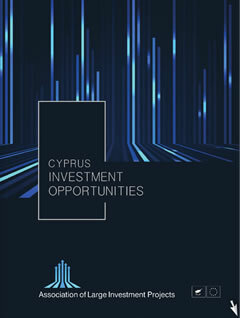 Leptos Blue Marine Residences, will benefit from the area’s master plan for high-rise buildings, and combine harmonically hi-tech office space & luxury residential space as follows. 33,530sqm of luxury seafront apartments and townhouses rising to 21+ floors. Underground parking, residents club, gym & spa area, indoor & outdoor pools and a direct sea facing F&B plaza. The height & size of the project will allow for optimum size/cost relationship, making it economically viable and a pleasant living environment. Office: One of the islands largest unified office spaces with views of the coast, the sea, the Limassol Marina and the city centre. The city’s master plan for the area provides for an urban regeneration scheme along the lines of London’s financial district of Canary Wharf & Barcelona’s innovation & technological district of 22@Barcelona. The area is a well-established hub for shipping & IT companies and with the addition of the islands biggest marina it is rapidly transformed into a luxury lifestyle residential & entertainment area.